In South Korea, the market for smartphones is vicious: Samsung leads the pack, as is the case almost everywhere, with fellow Korean company LG behind them in second place. 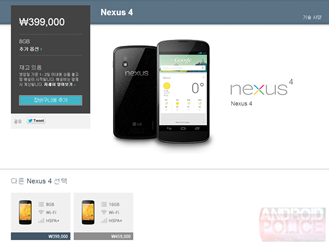 It's strange, then, that the Play Store has not sold LG's own Nexus 4 to the Republic of Korea itself. That changed yesterday, as the Nexus 4 goes on sale in the Play Store in South Korea for the first time... just six and a half months after it launched. Better late than never, I suppose. Previously only the Nexus 7 was available. The 8GB N4 is on sale for 399,000 won, just about $50 more than the US price tag, with the 16GB model coming in at 459,000 won, a bit over $407 at the current exchange rate. 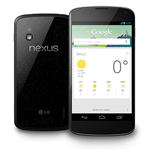 Other than some localized software, it's the same Nexus 4 that you know and possibly love. Both models are currently marked in stock and ready to ship within 1-2 business days. 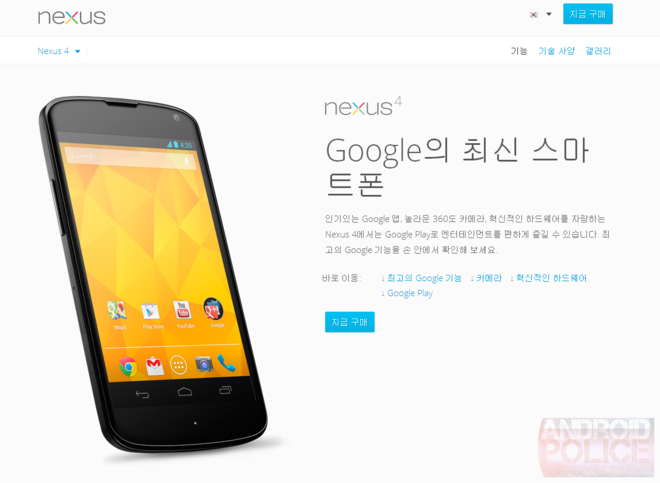 South Korea has also been added to the availability list for the N4 on Google's support page, so this isn't just some fleeting trial. 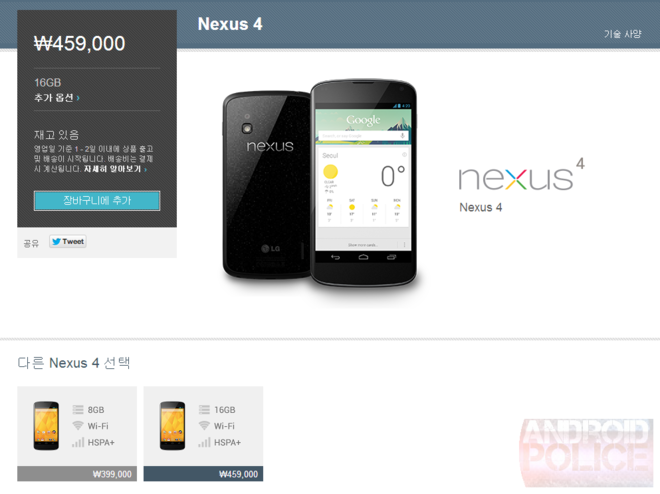 Koreans are still a bit underserved by the hardware side of the Google Play Store, since the Nexus 10 is nowhere to be found. Our readers in South Korea can check out the listings at the links below - everyone else will be redirected to their local Play Store with a language change.